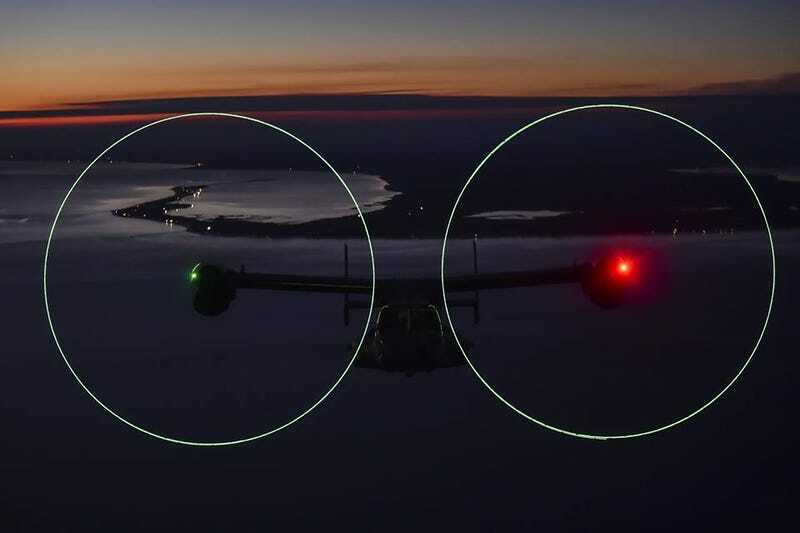 To aid with nighttime formation flight, the V-22 has LEDs on the rotor tips whose brightness can be controlled by the flight crew. The rotor lights can also be used in conjunction with night vision goggles. This photo shows an Osprey flying in formation on its way to Raymond James Stadium to perform a flyover for the College Football National Championship Game on January 9, 2017. The Osprey’s standard red and green navigation lights are also visible. Here is another shot of the lights in action.